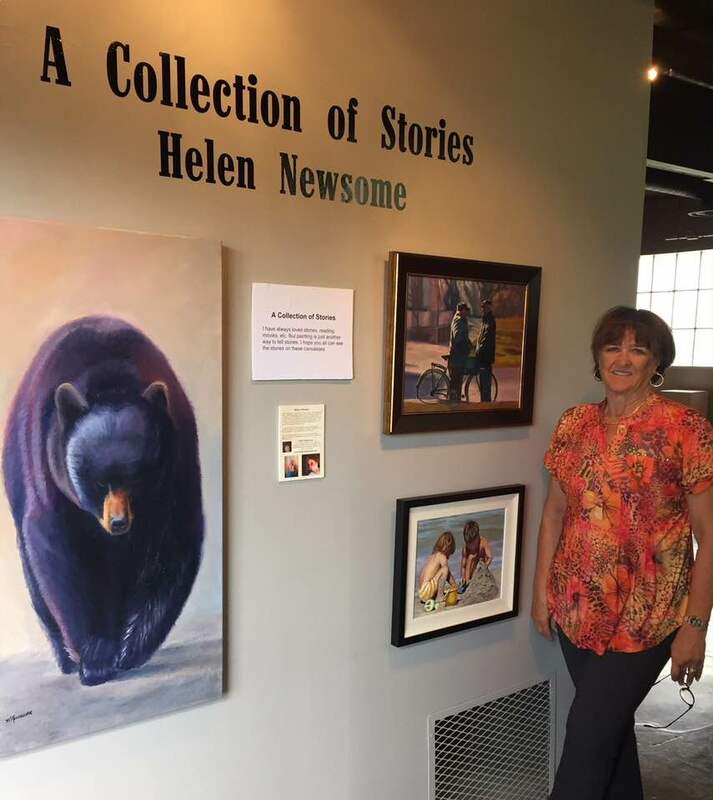 Helen Newsome is a Canadian artist living in Calgary, Alberta, although she is a snowbird, spending 4 to 5 months in California each year. Born in Connecticut in the United States, she immigrated to Canada in 1968 to go to school. After school, raising a family, and working 20 years in Human Resources, she came to art as a calling late in life, after retiring. “I sort of stumbled into painting almost accidentally, and discovered a well of passion for creating that still surprises me”. Since starting in 2012, she has pursued painting and drawing almost obsessively, taking classes and workshops constantly. “Some times I feel like an art glutton, never satisfied, always wanting more”. When you look at her gallery of work, you can see that she runs the gamut from abstract to representational art, oil and acrylic, mixed media, charcoal and inks, etc.